For Puppies 9-12 weeks (at the age of starting). 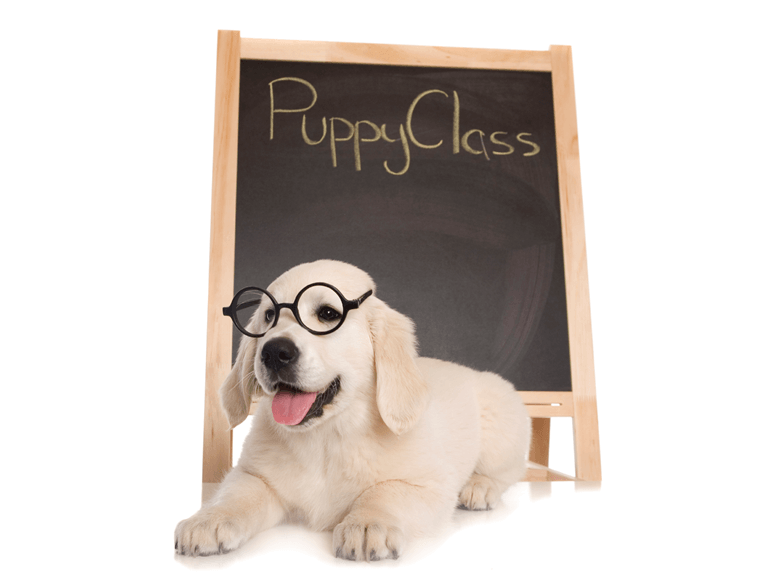 Puppy classes during the critical socialisation period (before 12 weeks of age or go to Clever puppy training) are vital for healthy development of a puppy. Don’t leave it until your puppy or dog has problems; by then it can be too late. You will never again get such an important period of time in your dogs life; you have approximately 6 weeks to make the most of it (10-12 weeks is ideal). Puppy classes are like the foundations of a house; build them properly and you will prevent problems later on. If problems arise over time then it is much easier to fix a puppy who has strong foundations. Well run puppy classes should develop social skills (not just play but a good balance of appropriate social behaviour). They are critical for developing bite inhibition, confidence, basic training and trust. We will cover health care, handling & puppy problems. Foundation training is covered but there are a lot of important things to cover in puppy classes so most training commands come later (you can teach an old dog new tricks, but you cannot get the same benefits of socialisation after 16 weeks of age). If your puppy is over 12 weeks when this course starts then have a look at or speak with us about the Clever Puppy Training which runs in Oakford. Such a fun way to learn how to enjoy training our puppy. Amazing the difference some professional guidance makes to having a dog that is a pleasure to take on outings. Thanks.